I am looking to re-home my 9 month old, un-neutered boy. There are several reasons that I am looking to re-home him. The first and foremost, and I am ashamed to admit it, is that I am in over my head with him. I thought I had done my research but I am realizing I was just so excited to get him for my kids that I didn't realize what a handful he would grow be. I was expecting a larger family dog, but at 9 months he is nearly 80 pounds and he is still growing. Our vet said to expect him to be over 100 pounds. This leads to my second problem. We can no longer afford such a big dog. Unfortunately, not by choice, we are having to move. We just spent a lot of money to have our current yard fenced in. Now we are moving and the new house doesn't have a fence an we cannot afford to have one put in. He also has an allergy to grain and so we have to get him grain free food. It wasn't an issue before, but our situation has changed and we just cannot afford what it takes to take care of him any more. He is crate trained and loves his crate. He is also very used to children and loves to be around them. He has also been raised by cats. He likes the cats but the cats don't like him. He has been around other dogs. He barks at them, but has never shown any aggression towards them. He really is a very sweet dog and I wish that we could keep him. I am embarrassed that I have to post this, but I want him to go to a home that will love him an I know that you can help me find him that home. Have you considered contacting German Shepherd Rescue in your area? They will match him to a family that will be a good fit for him. First, do you have a contract, or agreement, with your breeder regarding rehoming? If so, start there. In fact, if it's a good breeder, start there anyways! maybe they have someone looking for an older pup. 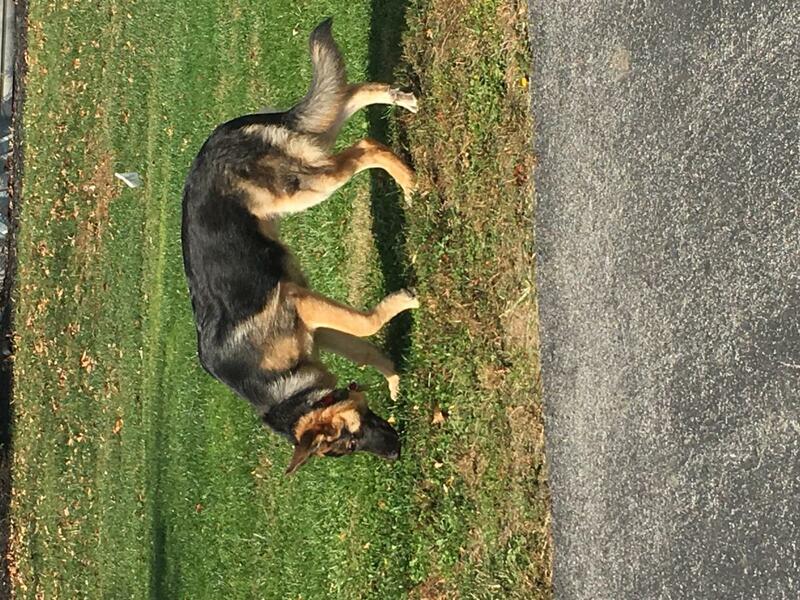 Second, contact any of the German Shepherd rescues in the area. I dont' know anything about this one but a good friend of mine who works at a shelter just sent one there that was breaking down at the shelter so I would definitely look in to it. Also, if you contact these rescues and let them know you will continue to care for him until a home is found, you have a much better chance of getting him in thru one. Thank you for your replies. I did get in contact with the breeder and a rescue. The breeder could only take him if we couldn't find anyone else. The rescue was happy to help. He will be going to MAGSR on Saturday. I am so sad to see him go, but I know that they will find him the home he deserves. Where in pa are you ? any luck with your up? still looking for somebody to help you out? reading back a couple of posts the op said the dog would be going to the rescue that Saturday following his post in January.